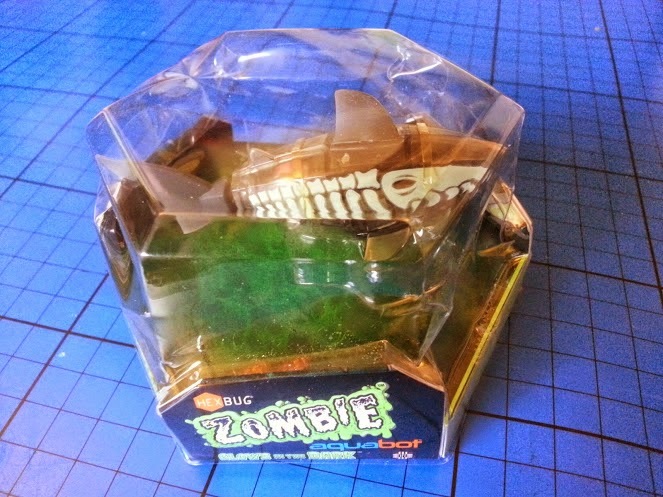 It may be a little late for Halloween, but the Hexbug Zombie Aquabot is a pet that's not just for one day a year - it's not even just for a small tank, it's brilliant in the bath, and especially when you turn the lights off! Suitable for children aged 3+, it's actually a sturdy little toy that's great fun all round. 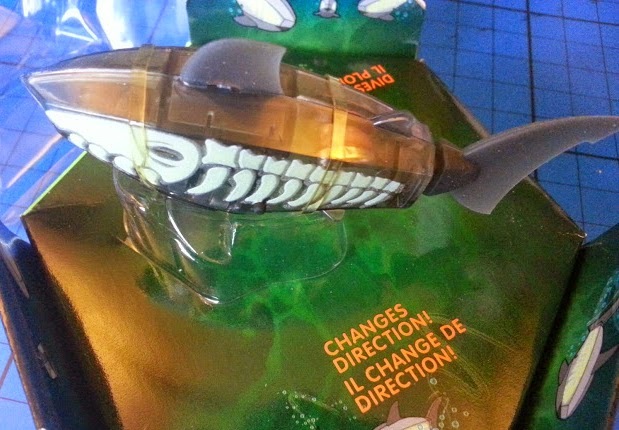 The box was a bit crumpled when it arrived, but the fish was unharmed and ready for action. My 4 and 6 year olds were very excited - so much so that I had to ask both of them to get off the table! 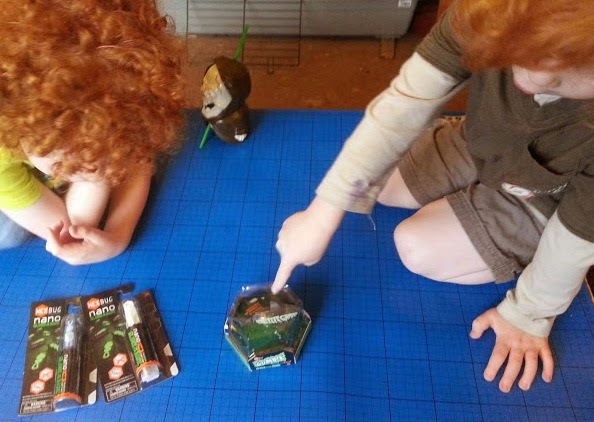 The Hexbug Aquabot doesn't move at all until it gets wet, when it immediately comes to life due to water sensors on each side of it's body. Once in water the Aquabot flaps it's tail and off it goes. The Aquabot will change direction and dive deeper under water and then rise again without any interference. It's really quite quick, but very easy to catch, and as the tail is rubber it doesn't matter about it hitting anything, it won't hurt you or itself. The Aquabot will swim until you take him out of the water, or for a maximum 5 minutes and then stop to preserve the battery. Just take him out of the water and then put him back in to restart him. In fairness we haven't managed to reach 5 minutes yet - one of the boys will have fished him out within about 1 minute! 1 minute incidentally is about the length of time that the Zombie Aquabot needs to recharge his speciality - he glows in the dark. 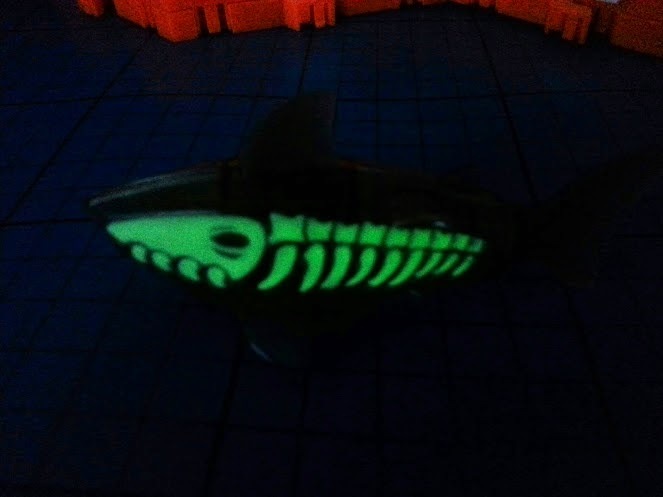 It's hard to take photo's of glow-in-the-dark, but hopefully that gives you an idea of just how impressively he does it, he's really bright! We love the Hexbug Zombie Aquabot, it's great, a real fun toy that retails at around £7.99, so it's ideal as a Christmas stockingfiller and will delight any child. It will withstand a bit of rough treatment and isn't as delicate as it looks, and my 4 and 6 year olds absolutely love having it in the bath with them! 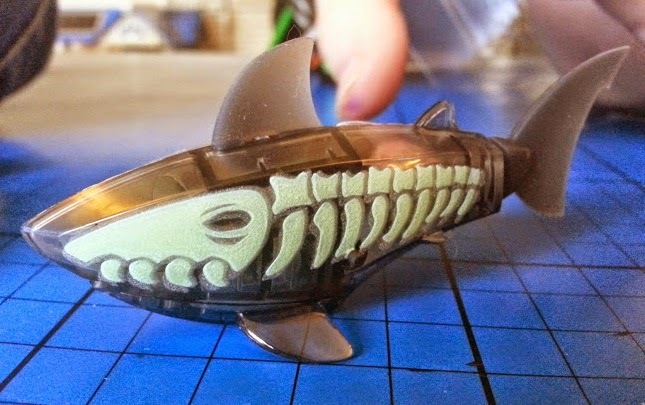 We were sent the Hexbug Zombie Aquabot for review. This is on Monkey's Christmas List, thank you for the video - very helpful!